Los Angeles might often be dismissed by the bookish as a “Hollywood Town” but it is home to numerous, edgy small presses and a vibrant literary community. 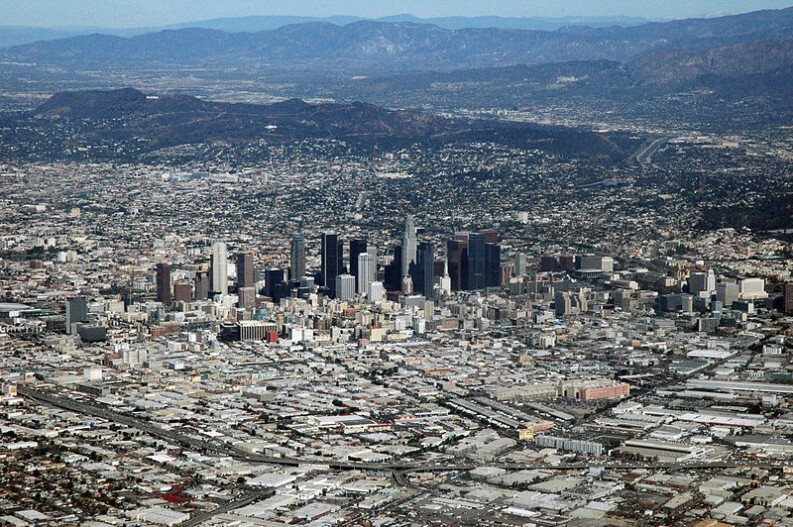 There seem to be a lot of people who don’t like Los Angeles — the size of the city, the Hollywood superficiality, the smog that sometimes settles there, as well as the constant threat of earthquakes make many uneasy. But those that do like it, don’t just like it, the love it. My personal experience with the city has been admittedly mixed. My initial impression was formed on the day I was accepted to graduate school at USC and turned on the television to see the horror of the Rodney King riots in full 24-hour new cycle glory (nix. that. idea.) But my actual experience of the city has been almost entirely positive on the numerous trips I took there as a journalist over the years. Engaging with the book community in Los Angeles has almost always been invigorating, from the bookstores — Vromans, Skylight, Hennessey + Ingalls come to mind — to the festivals, which naturally include the Los Angeles Times Festival of Books and, now the Spanish-language book festival LéaLA. When looking for literary life in LA, a good place to start is with David Ulin, Carolyn Kellogg and Hector Tobar at the Los Angeles Times’ Jacket Copy offer vibrant book coverage. They are traveling on a wake that started more than a decade ago when the Los Angeles Times made a name for itself though its now-defunct stand alone book section, then helmed by the hyper-articulate Steve Wasserman. Wasserman, a former publisher and literary agent and now executive editor-at-large at Yale University Press, turned the section into something that would frequently rival The New York Review of Books in erudition (a practice that is today being upheld by the Los Angeles Review of Books). Under his direction the LA Times Book Prizes became a fixture on the calendar…in New York. It’s that last part that never quite made sense: why, at the time, did the paper have to travel to New York City to announce its shortlist? Did it really need the validation of the NYC publishing community and the imprimatur of the NYC media? Perhaps, yes. Today, things have changed. With the contraction in the New York publishing community over the past several years, new publishers are springing up all over the United States, often led by ex-New Yorkers who have found fertile ground in the rest of America. As C.P. Heiser, publisher of LA-based Unnamed Press, notes that while Los Angeles is often dismissed as a movie town, there is a “publishing community in the city.” Today it is home to some of the more daring independent publishers in the country, from the stalwart Semiotext(e), to some you may or may not have heard of such as Prospect Park, Angel City Press, Narrow Books, Writ Large Press, Rare Bird Books, Red Hen Press, or Les Figues Press, among others. (I’m sure you’ll let me know I’ve missed a few more, so please do). And it would be obscene to overlook just how many writers there are in Los Angeles. Outside of Brooklyn, it likely has the highest density of people trying to make a living with words of anywhere in the world. In fact, it may be blessed with more writers than even Brooklyn. With so much publishing activity in America’s second-largest city, does it get as much love and respect as it deserves? Agree? Disagree? Have a thought or two to add? Let us know what you think in the comments.